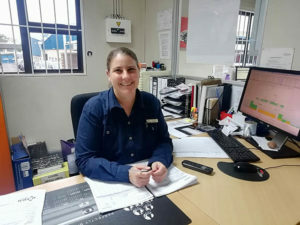 We extend a warm and professional welcome to Cynthia Van Staden who has been promoted as a workshop manager at CMH Honda Hatfield. Cynthia has extensive experience in customer relations and will be sure to improve our Workshop department as a whole. Cynthia started her journey with CMH Honda Hatfield as a Receptionist. Through hard work, dedication and commitment Cynthia was then promoted to service adviser before moving on to achieving management status. 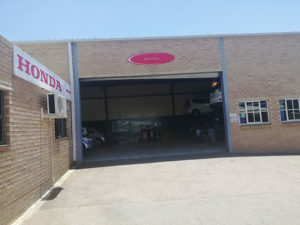 With 16 years’ experience in the motor industry there is no doubting that Cynthia is the perfect fit to take CMH Honda Hatfield’s workshop to bigger and greater things. 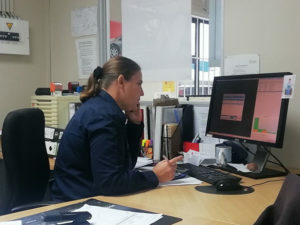 The workshop department is excited by the appointment of Cynthia as the new workshop manager. The workshop team believe that Cynthia is the correct person to take the workshop to new and greater heights. 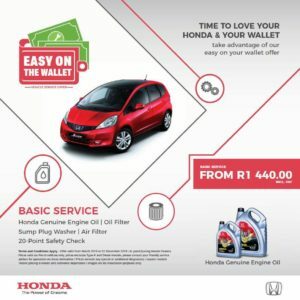 Visit CMH Honda Hatfield and put Cynthia and her team to the test by taking advantage of our EASY ON THE WALLET VEHICLE SERVICE OFFER!! 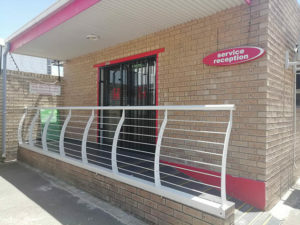 Basic vehicle servicing starting from R1440.00 incl. VAT. This Offer is valid until 31 December 2019.